After arriving and setting up our rooms, we had a light dinner. Sitting in our kitchen, next to a pot on smouldering charcoal with water coming to the boil, we ate toast with peanut butter and mashed bananas. Two pieces and a few apple slices was all it took to satisfy my time confused mind and body. By the time the locals wandered into our mud hut lounge, it was nearly 9pm local time. Courtney and I were lost somewhere between there and the next morning that was soon to be dawning in Australia. But, what happened next was worth staying up for. The 20 or so children that filled the room began to sing - lead by Leon. The faces that had entered so quietly now sang with joy. Then came the action songs. It was beautiful to watch and a lot of fun to join in. These kids have made an art of singing and laughing at the same time. If there were a picture next to the word joy in the dictionary, it would be of these kids. Leon then said an opening prayer and Joseph introduced me. 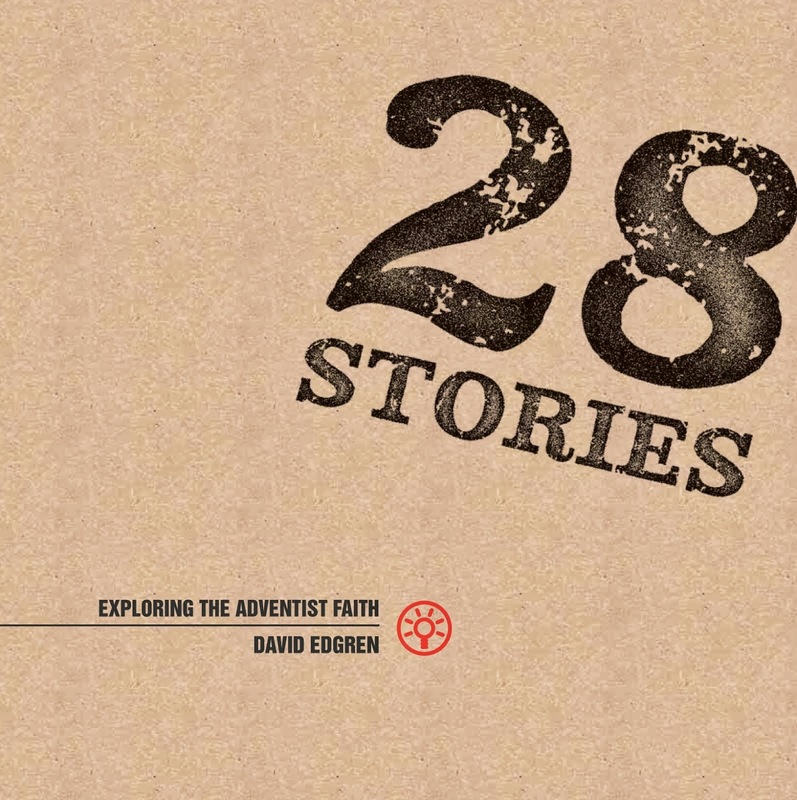 Then we began exploring three stories that Jesus told about people finding things they’d lost. Joseph translated for me. “Have you ever lost something that you really needed?” I asked. I have never told the stories in Luke 15 in a place where they made more sense. A shepherd looses one of his hundred-fold sheep and leaves the 99 in an open field while he searches and finds the lost one. The Maasai are shepherds. On our journey today, we drove past hundreds of groups cattle, sheep and goats being cared for by Maasai boys. And now, here were a room filled with Maasai children. “Have you ever helped look after the sheep or goats?” I asked and raised my hand. “Raise your hand if you have helped shepherd the animals.” Hands went up around the room. Storyteller break: This illustration worked really well alongside a translator, as Jospeh translated the 1,2,3,4,5 it gave a sense of time passing so that the 98,99 seemed to be finishing the long effort of counting the sheep! 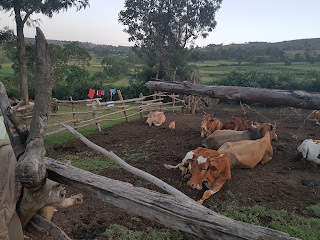 Wealth in Maasai Land is based on the livestock you own. Maasai boys do not own the animals the shepherd. Loosing an animal in your care would be a very stressful thing indeed and could even result in loosing your job or worse. When I told them the boy found the sheep, put it on his shoulders and took it back to the flock there was a sense of relief around the room. My understanding of this story escalated even more as I told them that the shepherd had a party that night because he was so happy. All the children and adults nodded and smiled. They, too, have had such parties of joy! Jesus’ next two ‘lost stories’ were received with as much agreement and understanding when each party happened. A house turned over by a woman looking for one lost coin - every coin is precious to these people as money is hard to come by. A Son who takes half his fathers wealth and squanders it in the city - the city of Nairobi is a very real temptation to the country born Maasai, until they too have been destroyed by it’s temptations and come home broken. But, it was the first story that struck home to me. Jesus knew the people he was talking too. And his stories still speak. A point that stood out to me was the importance of the party after finding what had been lost. There is true joy represented in these stories - especially to people in cultures like the one Jesus lived in. But, there was one other thing that made me smile when I read the beginning of Luke 15 again afterward. Jesus was telling these stories to answer an accusation made against him by rich people. The Pharisees, often disconnected from the poverty and need in the world around them, were more concerned with their own reputation than the needs of others. They were watching Jesus from afar and were very concerned. 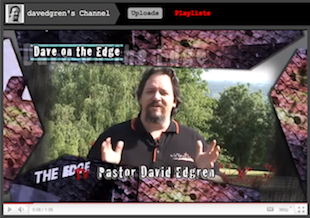 Jesus’s story-set answers the Pharisee’s accusations with, “I’ve got reason to party! Look at them coming to God!” But he does it by telling stories to the poor people sitting at his feet - stories they understood. Then he finishes the story-set in a way that only the Pharisees would understand. Jesus challenges the rich and righteous men who had accused him by revealing the true nature of the brother of ‘lost son’ who, though he lived with and worked for his father, misunderstood His love all along.